Excited to announce that I'll be teaching about Jewish Astrology at the JCC of the East Bay's Tikkun Leyl Shavuot all-night study session! 5am to 5:30am in the South Hall - because you need something to WAKE YOU UP before Shachrit! #Ramadan in 2018 is the last Ramadan which coincides with the Hebrew month of Sivan in the current triplicity cycle. 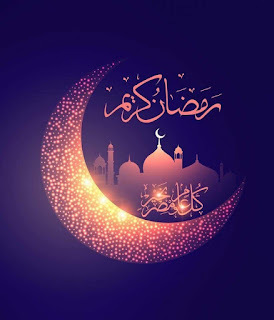 Ramadan has coincided with Sivan since 2016. This year is our last chance as the Jewish people to get it right this time, before the next triplicity cycle begins and Ramadan will coincide with the Hebrew month of Iyar in 2019, 2020, and 2021. 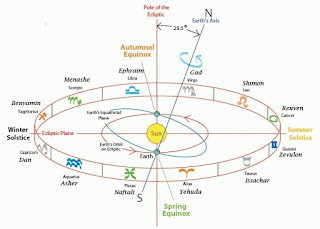 The Islamic calendar is a lunar system, and the annual occurrence of the month of Ramadan runs on an approximate 32 year cycle varying as to which Hebrew month it falls in, throughout the years, decades, centuries. 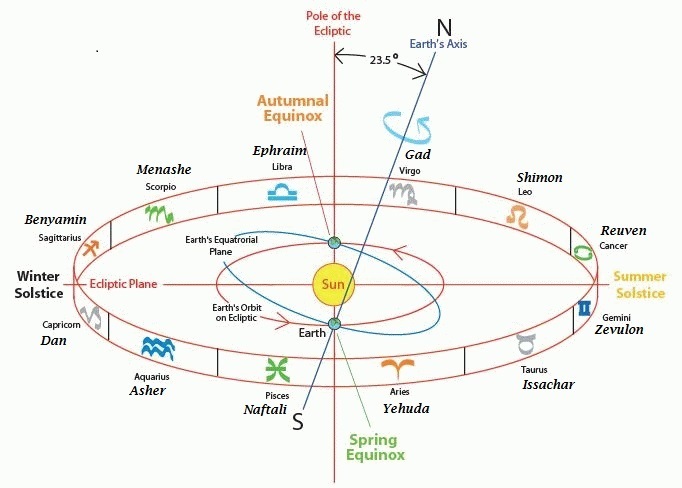 Unlike the Hebrew solar/lunar calendar, the Islamic calendar has no feasts or fasts that must fall in a certain season (as the Jewish people do with the Month of Nissan, Chodesh Aviv, which the Torah mandates must start in the Spring). Ramadan always begins in sync with a New Moon / Rosh Chodesh of the Jewish Calendar (Head of the Month). This year (2018), Ramadan begins on Rosh Chodesh Sivan, as it did in 2017 and 2016, as well as in 1951, 1952, 1953, 1984, and 1985. The Children of Ishmael enact great spiritual power during the fast of Ramadan. Their zealous devotion in fasting from sunrise to sunset during the entire month of Ramadan functions to stimulate, trigger and if needs be, to provoke the Jewish people, cousins of the descendants of Ishmael, to desire and even envy the Muslim level of devotion, surrender and commitment, stimulating us as we seek to emulate, and indeed, exceed it. 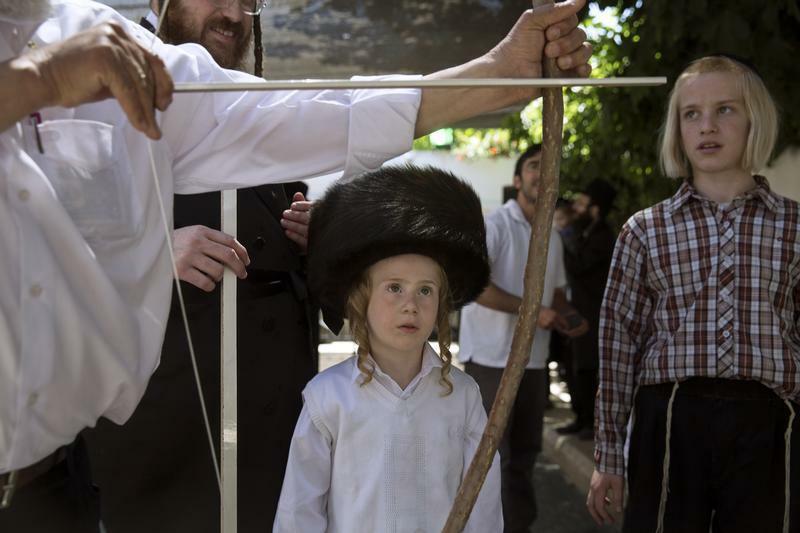 Sivan is the month during which we're given the Torah. Sivan is associated with the Tribe of Zevulon, the Planet Mercury ("Kochav") and the function of Mutable Air - Transformative Thought. The tikkun of Chodesh Sivan which Ramadan will trigger for us in 2018 is the test of how we treat the convert, how we relate to the one who desires to draw close for the sake of the blessings of belonging. Those who imagine themselves to be righteous in Torah will be challenged to experience transformative thought in relation to the convert. Indeed, anyone who falls outside our identity comfort-zone will come under the category of "other" - and we are challenged as a People to transform our thought towards the "other" until we can see the "other" contains something we ourselves cannot be complete without! Just as the Jewish People were not complete until Ruth came to add her spiritual DNA to the mix, producing MOSHIACH in archetype - King David himself - Ramadan during Sivan years challenge us to SEEK that which is MISSING in our Claal, so that we all might be complete and shalem, whole. Just as the Hebrew Calendar and the Jewish Year is the manifestation of Sacred Time, our Muslim cousins have been given the Islamic Calendar to know the times and the seasons they are to enact their devotions, which are intended to arouse us to a purer and more passionate response to our own spiritual calling. 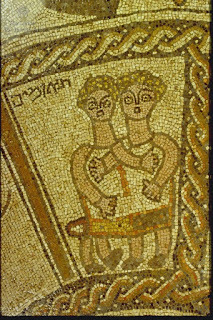 It is a dance of devotion between root souls - Isaac and Ishmael, both sons of Avraham - and in the end, the time of one is the time of both and the time of both is the time of All. Ramadan Mubarak, Ramadan Kareem to the spiritual heirs of Avraham's firstborn. May your devotions spark our own desire to burn as brightly, illuminating all the world with the Light of God. This week we read the Torah portion of "BaMidbar," the opening chapters of the Book of Numbers, which describe how the Children of Israel were commanded to pitch their camp in the same configuration during the 40 years of wandering in the desert between Egypt and the Land of Canaan. The configuration of the encampment is the mirror image of the twelve constellations of the Zodiac and their associated tribes. As the constellations of the zodiac surround the earth, the twelve tribes encamped surrounding the tabernacle. The repetition of this sacred and specific pattern – which may have been the collective embodiment of the Israelite’s mandala, was reenacted forty-two times as detailed in the Book of Numbers by the generation in the desert. This repetition may have served to embed this cosmic pattern into a symbolic primal identity point during the process of developing tribal consciousness during the forty years of wandering. 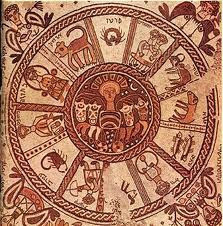 The 42 times the Israelites encamped in mirror-image of the order of the zodiac may have been a primitive version of what the medievalists would later call the drawing down of rūhaniyyāt, spiritual energy which manifests as powerful energetic emanations above attracted by a “sympathetic” image below. The graphics here illustrates the order of the encampment and how it corresponded to the order of the zodiac. Rosh Chodesh Sivan Tov! 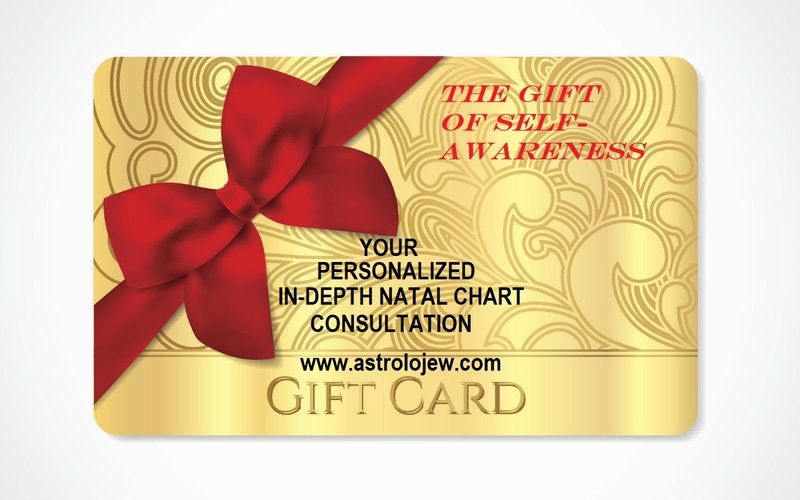 The Hebrew Month of Sivan is associated with the Mutable Air sign of Mercury-Ruled Gemini, the Great Communicator, as we celebrate receiving the Torah, the ultimate communication / Divine Download of all time! Sivan is the month of enhanced connectivity. We connect to thought, to speech, to information and ideas, to people and places. 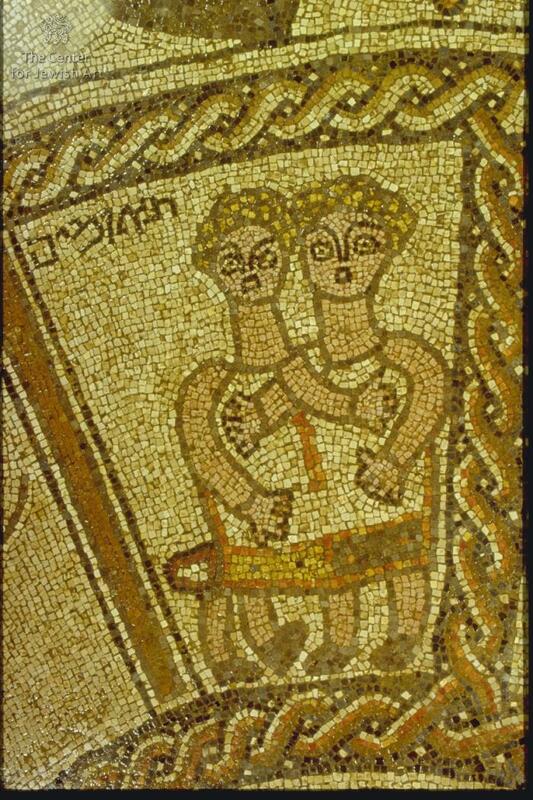 Gemini/Sivan belongs to the traveling Tribe of Zevulon. 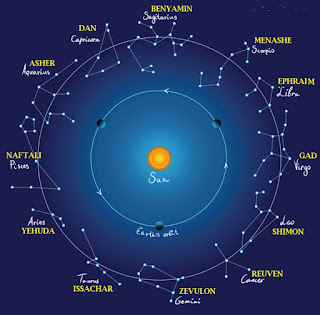 The Sefer Yetzirah connects Sivan to Thursday, the Right Ear, the Spleen, and the letter Zayin, and Mercury, the ruling planet of Sivan/Gemini to the letter Resh. Follow this link to my "Astrolojew" column for Chodesh Sivan in J-The Jewish Weekly of Northern California! The planet #Uranus enters Taurus today, a constellation it has not visited since the last transit (1934-1941). Uranus is a "modern" planet, discovered in 1781, and is associated with modern phenomenon such as electricity, space exploration, and the Internet. On a trans-personal level, Uranus speaks of the urge towards individuality and away from conformity. At the same time, Uranus has been given the modern rulership of Aquarius (classical ruler: Saturn), the sign associated with humanitarianism, the community/collective and affinity groups. The lesson of Uranus is how to cultivate and maintain personal uniqueness within group identity. 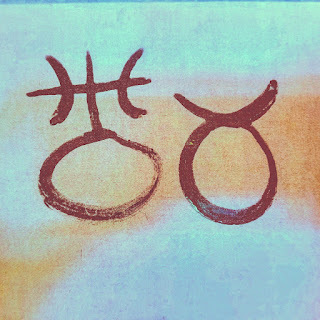 The last time Uranus transited Taurus, we saw a massive failure to learn this lesson unfold in Nazi Germany, where a toxic brand of Fixed Earth-based group identity took root ("Blood and Soil"). Let's hope we do better this time around. All of the current permutations of "Blood and Soil"-based hyper-nationalism which were activated during Uranus in Mars-ruled, combative Aries must now be mercilessly stamped out before they take root in Fixed Earth Taurus. On a personal level, the planet Uranus in your natal chart indicates where your own personal need for individuation and uniqueness is located. If the planet Uranus is conjunct (with 3-5 degrees) your natal Sun or Moon, or any of your other natal planets or cardinal cusps, it plays an enhanced role in pointing to where and how and why your uniqueness must be acknowledged and honored. Failure to be true to your own individuality can and does lead to frustration and unhealthy behaviors. Here's the schedule:Uranus enters Taurus: 15th May 2018. We're off and running. Then Uranus retrotgrades back into Aries on 6th November 2018, re-entering Taurus for the long haul on 6th March 2019, until it enters Gemini on 7th July 2025. Uranus then retrogrades into Taurus again from 8th November 2025 until it re-enters Gemini on 26th April 2026. 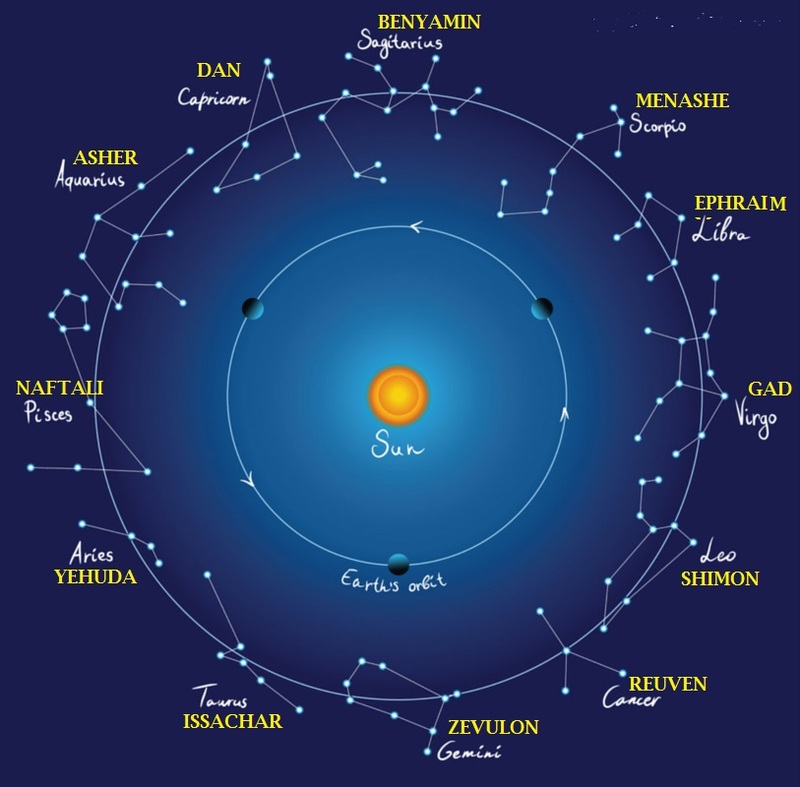 Fun Astrolojew Fact: Iyar 18, the 33rd Day of the Omer aka Lag b'Omer, is ALWAYS either Moon in Sagittarius or Moon in Capricorn (depending on where it falls in the 19-year Metonic cycle upon which the Hebrew calendar / Jewish Year is based).